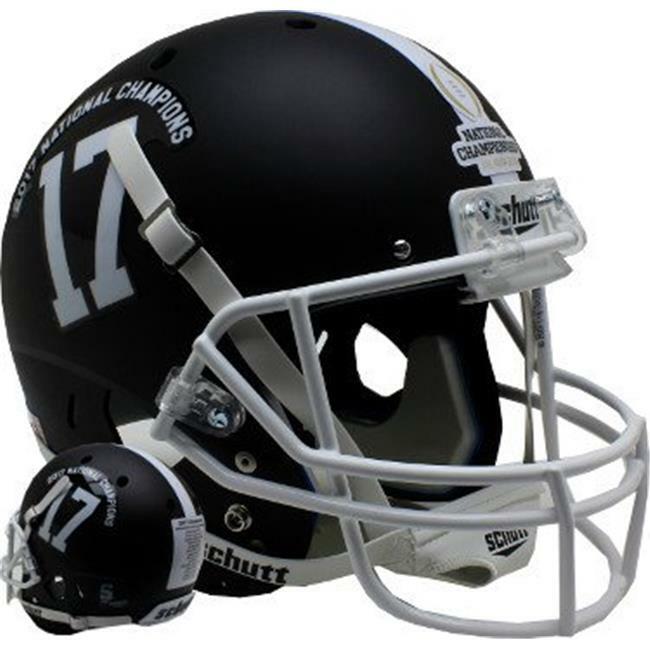 This is an Alabama Crimson Tide unsigned Schutt XP 17 Full Size Black Matte Replica Helmet with 2017 National Champions Logo and scores of all games on the back. Schutt XP Replica Helmets are full-size helmets with the same detail as authentic helmet and on-field helmets. These helmets do not include all interior padding. They do feature a metal faceguard, chinstrap, and jaw pads.